Safari is a Swahili word meaning journey, any type of journey. The word entered the English language in the 1850s and is generally taken to refer to an overland journey to Africa by tourists for the purpose of hunting or watching wildlife. In his novel, Five Weeks in a Balloon, French author Jules Verne wrote an adventure story full of absorbing twists and turns, providing readers with a literary glimpse of Africa and its amazing wildlife treasures. At the time, few people in the western world had travelled to Africa and the closest many had come to wild animals was in a zoo. 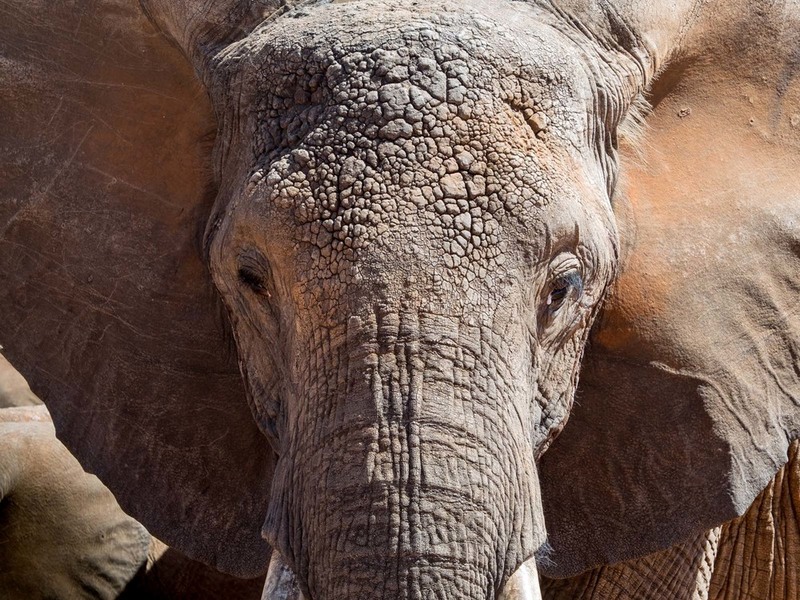 It is now hard to imagine, given the thriving state of safari tourism. I had visited Africa before, but never on safari. 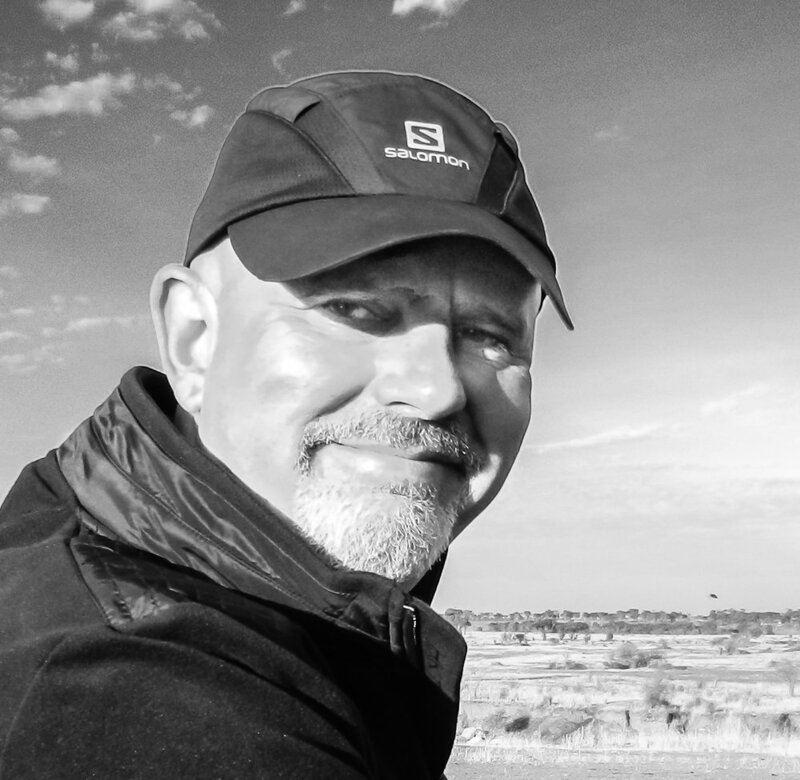 I lost my safari virginity (watching not hunting) in September 2015 and this is a brief pictorial tale of my first African wildlife adventure. The destination was Tanzania and we visited two national parks and one conservation area. 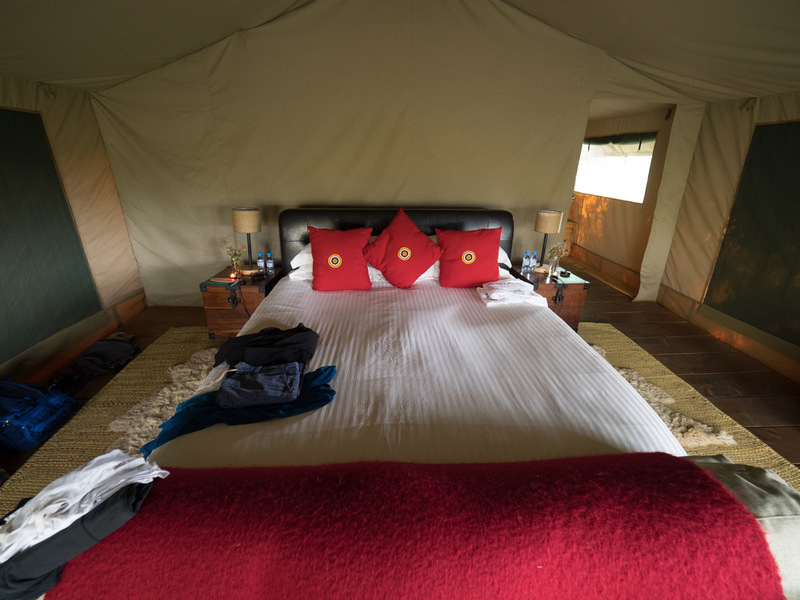 We stayed the first night just outside the bustling town of Arusha in the heart of the Tanzanian safari industry. Our driver for the first few days was Isaya and after a good night’s rest he took us to Tarangire National Park. The brochures make it clear that Tanzania is not a zoo and animals do not make appearances just for the pleasure of tourists. Isaya did nothing to raise my expectations although I hoped to occasionally see some wildlife during our ten-day journey. 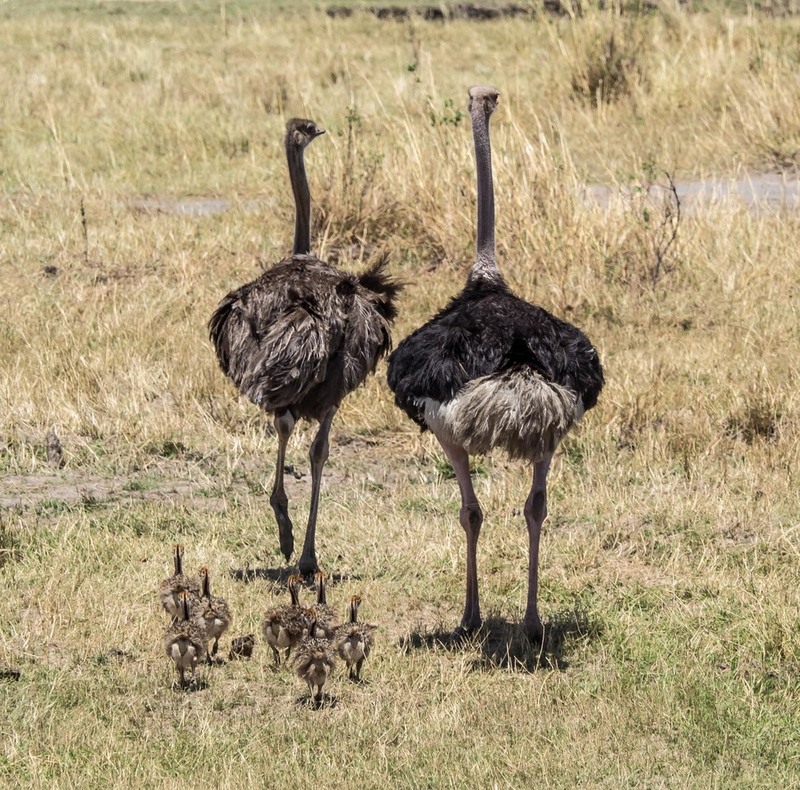 Within hours of arriving in the park, however, we had seen warthogs; zebra; wildebeest; elephants; giraffe; water-bucks; impala; lions; vultures; eagles and many other birds and mammals. By the end of the trip, we had also seen leopard; cheetah; buffalo; rhinoceros; hippopotamus; crocodile; ostrich; flamingos; eagles and many, many more. These were good sightings (with the exception of the rhino), not distant glimpses or fleeting encounters. Generally we moved on before the animals did. At the risk of sounding melodramatic, the experience was life-altering and it only got better. I couldn't fathom why I had not done this before - okay, yes I could - it is bloody expensive! More of that later. 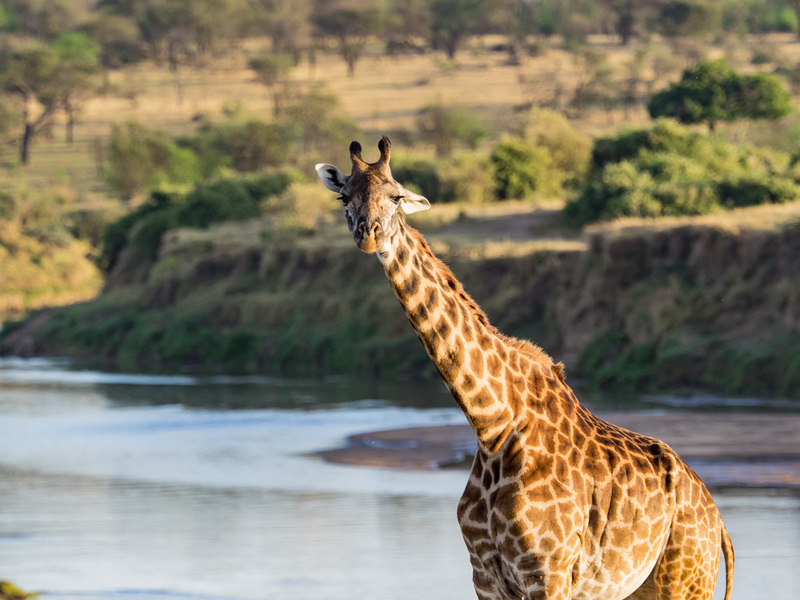 Tarangire, at 2,850 square kilometres is one of the smaller parks in Tanzania but still larger than the UK’s Lake District. We spent three days there before moving on to the Ngorongoro Conservation Area (8,292 sq km) and the Serengeti National Park (14,750 sq km). Our young guides, Isaya and later Solomon, displayed an encyclopaedic knowledge of their surroundings and the wildlife. As I asked the same questions about why animals were behaving in a certain way, I realised they were using ever more creative ways to provide the same answer. The animals behave the way they behave to get food, water and shelter; for themselves or their young, perhaps a slight oversimplification, but pretty close to the reality. This often involves eating or trying to avoid being being eaten by other animals. All fairly obvious really, but it just illustrated the base nature and cruelty (a human judgement, I know) of the environment. To reinforce the point, my wife observed how healthy all the animals looked. None appeared to be mangy, sickly or underfed. I reflected for a moment - “that’s because all the weak and poorly ones have been eaten,” I said. Each morning of our stay in the Serengeti, we visited the Mara River, one of the principal obstacles for wildebeest to overcome during their great annual migration. The water, life-giving in its own right, stands in the way of their access to greener pastures on the other side. It also conceals the Nile crocodile, an awesome, apex predator. The crossings are a spectacle. 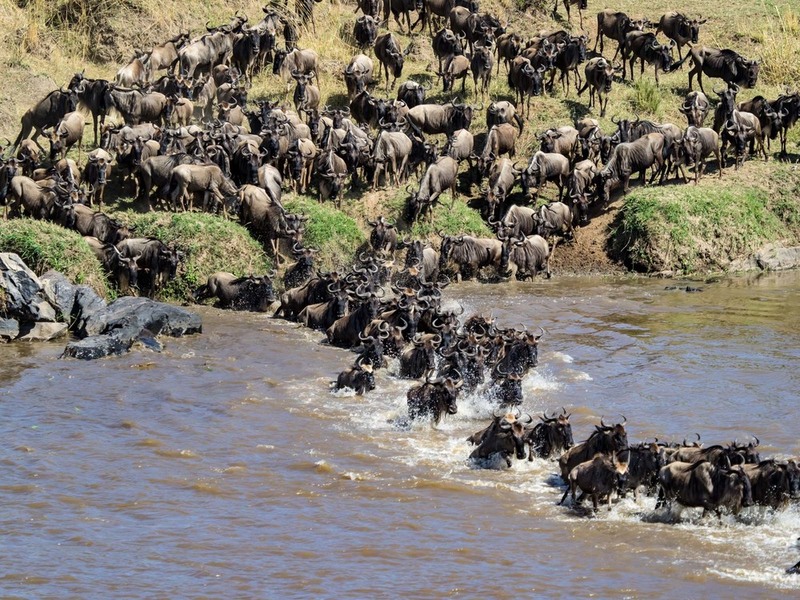 The wildebeest gather in huge numbers, milling at potential entry points by the rivers edge until one summons the courage to go, or is maybe pushed into the commitment by others. Once one jumps in, however, they all follow, like sheep. They know what sits beneath the water and so they leap high in the air and thrash their way across, not stopping until they have safely reached the far side. As the wildebeest ponder their voyage, numerous safari vehicles congregate at a distance.. they do not want to discourage them. The guides peer through binoculars and wait patiently for the crossing to commence. Once it starts, all hell breaks loose and the ‘wacky races’ ensue as all the safari vehicles rush at once to the riverbank to secure the best viewing spot for their clients. We were rewarded with three crossings whilst I stayed there. On the fourth day we ran out of patience as the morning progressed and we missed a wildebeest being dragged beneath the water by a crocodile. At lunch that day there was a discussion by those who had been there about their discomfort at what they had seen. I respect the views of others, but was personally disappointed not to have seen it for myself. The previous day we had observed a female cheetah for nearly an hour, sitting beneath a tree with young cubs. 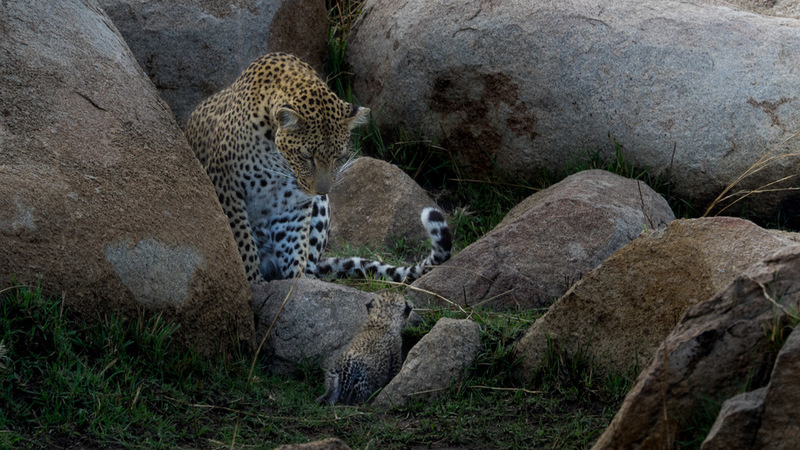 We watched her briefly abandon her cubs and start stalking a reedbuck. Without warning, she accelerated with an astounding burst of speed and within seconds, brought down and killed the unfortunate animal. It was a scene I had seen several times before.. on television. To see it for real was simply jaw dropping. 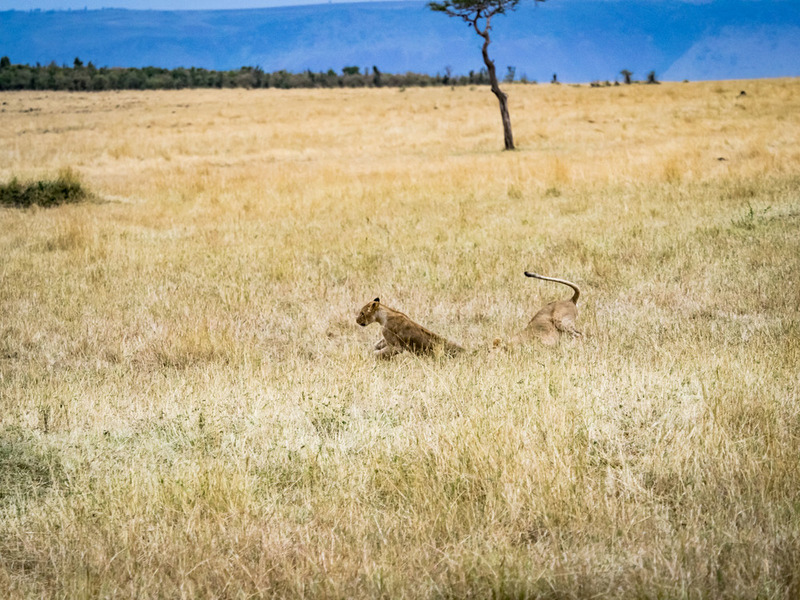 A couple of days before we had watched three juvenile lion cubs practicing the same killing skills exhibited by the cheetah, as they stalked and chased one-another whilst their protective mother lay nearby. On one cool morning, whilst driving slowly and peacefully through the Ngorongoro Crater, there was some chatter on the two-way radio and Isaya suddenly burst into action hurtling our Toyota Landcruiser along the Crater track at break-neck speed. It was exciting but at the same time almost initiated a bowel-movement! Had we entered an off-road rally? No. We were on our way to a lion-kill.. arriving with about thirty other safari vehicles, each leaving a plume of dust in their wake. So what is it about death and killing that humans find repulsive and at the same time utterly compelling? Although I wanted to see what was happening, I felt strangely voyeuristic; a bit like a 'rubber-necker' slowing to see carnage on the opposite carriageway of a motorway. Depending on your point of view, as mesmerising or distasteful as it is to see a killing and immediate aftermath, so is watching the clean-up operation. 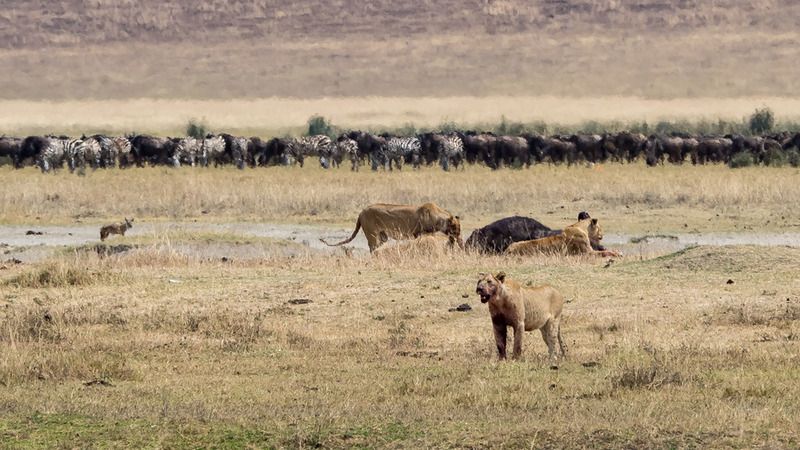 Once the big cats have had their fill, smaller mammals like hyenas and jackals assemble to take their share, followed by the large birds of prey, vultures and storks - yes - storks. I had always associated storks with baby-delivery and nappy adverts, not competing with vultures to pick over the cadaver of a rotting wildebeest! 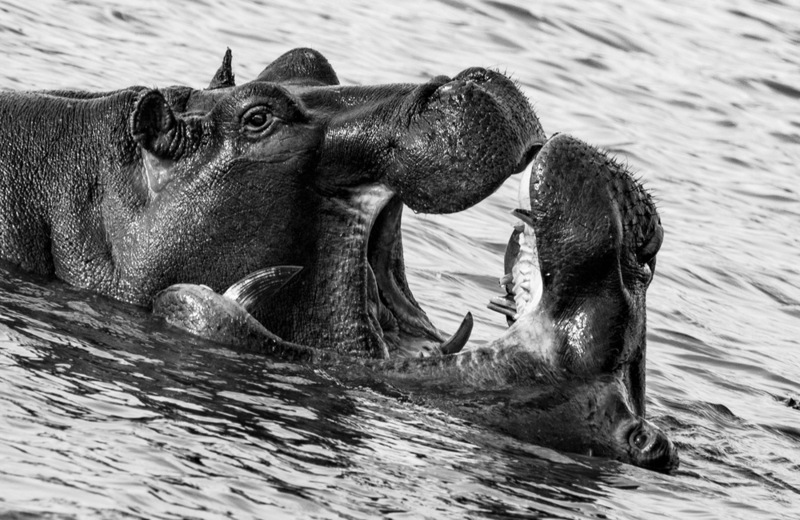 On that note, one of the most disturbing sights (and smells) was the mass fatality on the Mara River that occurred a few days before our arrival. Several thousand wildebeest attempted, unusually, to cross the river at night. It seems they struggled to exit the river on the far bank and fell back in, where they were trampled to death by those following. They must have just kept coming in the darkness, unaware of the panic ahead. Their carcasses, estimated at four thousand, had almost completely dammed the river. Carrion birds thrived on the plentiful bounty. Some find vultures disgusting creatures. Personally, I find them and their inter-species squabbling completely fascinating. I could watch it for hours. To learn that they are endangered, principally from poisoning by humans, is quite shocking. 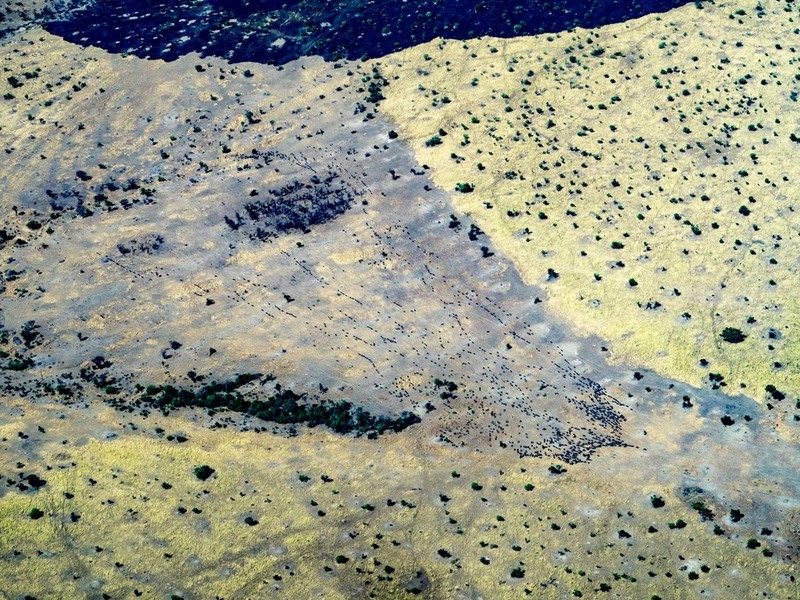 Love them or hate them, they perform a very important cleanup role in the eco-system. The safari wasn't all about death and killing however. In fact very little of it was.. its just that the subject intrigues me. We saw most animals just going about the daily business of munching on the vegetation and making trips to nearby water holes, or just lazing about between meals. We also saw the very young of numerous species including leopard; cheetah; ostrich; zebra; warthog; elephant and many more. 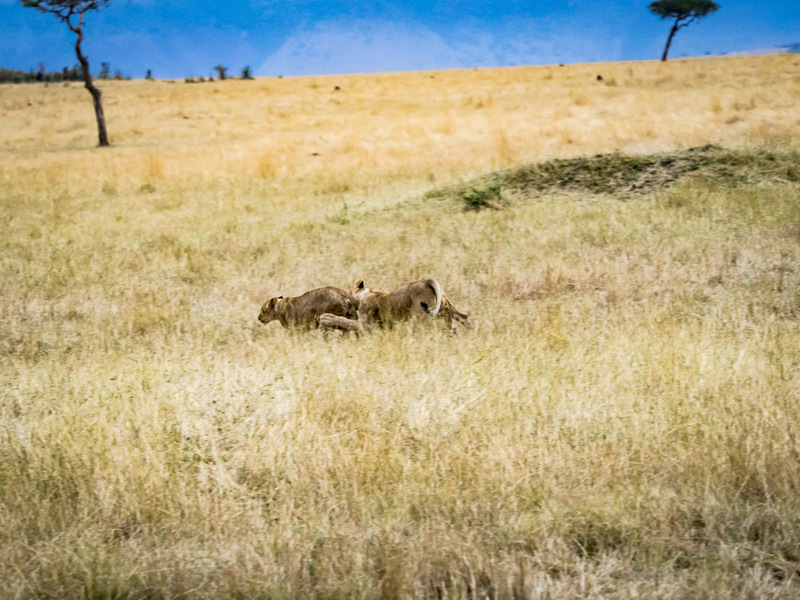 We even observed a lioness, waters broken, about to give birth, with birthing partner close by providing moral support. Frustratingly she wandered into the bush to deny us the actual wonder of the birth itself. We had an amazing couple of weeks and I could story-tell for many more pages. If you want to witness some of this you will have to dig deep; well fairly deep anyway. Conservation doesn’t come cheap and as a tourist, you are making a substantial contribution. Is it worth it? Well, if you don’t mind finding a hippo blocking your way as you return from dinner; having your toothpaste stolen by monkeys; breakfasting with giraffes; being woken at 3am by the sound of baby zebra grazing within feet of your pillow and staying in a tent (albeit a very nice tent) charged at three times the nightly rate of a central London hotel; then go for it. All the photographs on this page were taken using an Olympus E-M1 and Lumix GM5 cameras.